A work on international humanitarian law, which contains texts of the main treaties and includes other documents, such as: agreements on anti-personnel mines and laser weapons; two documents on UN forces and international humanitarian law; an extract from the Advisory Opinion of ... read full description below. 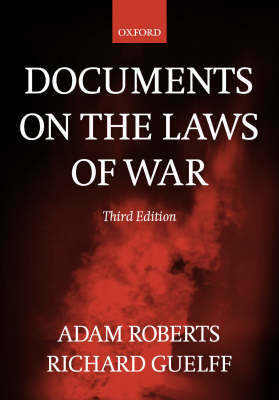 This is a completely revised and updated edition of a book which has become widely accepted internationally as a standard work on international humanitarian law. The book contains authoritative texts of the main treaties and other key documents covering a wide variety of issues: the rights and duties of both belligerents and neutrals; prohibitions or restrictions on the use of particular weapons; the protection of victims of war, including the wounded and sick, prisoners of war, and civilians; the application of the law to forces operating under UN auspices; the attempts to apply the laws of war in civil wars; the prosecution of war crimes and genocide; the legality of the threat or use of nuclear weapons; and many other matters. 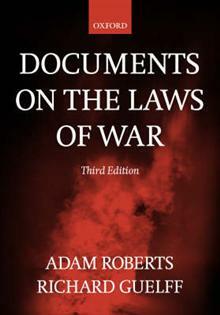 This third edition, greatly expanded from the second, contains thirteen new documents, including agreements on anti-personnel mines and laser weapons; key extracts from the statutes of the international criminal tribunals for the former Yugoslavia and Rwanda, and the International Criminal Court; two documents on UN forces and international humanitarian law; and an extract from the Advisory Opinion of the International Court of Justice on nuclear weapons. There is a new appendix listing internet websites. All the editorial text is revised and updated. The Introduction sets the subject in its historical context, outlines the various sources of the law, provides basic information about its application to states and individuals, and discusses its relevance in contemporary conflicts. In addition, each of the documents is preceded by a prefatory note by the editors, explaining matters relating to its adoption, interpretation and implementation, including how it relates to other agreements concluded subsequently. Each treaty is followed by a complete list of all states parties, along with the dates of adherence and details of any reservations or declarations which states have made. Prepared with extensive assistance from the official Depositaries of the various agreements, this is an essential reference book for statesmen and diplomats, members of armed forces and humanitarian organizations, lawyers, journalists, and students of international law and international relations. Adam Roberts is Montague Burton Professor of International Relations at the University of Oxford and a Fellow of Balliol College. Richard Guelff is a member of the District of Columbia Bar with an international law practice in London and counsel to a law firm in Geneva.